In this article we explain the aspects of the purchase of property from a practical point of view in Liechtenstein. B. What contract do you need to sign? D. Who can purchase property? Property also is subject to the general rules of inheritance law contained in the Allgemeines Bürgerliches Gesetzbuch (ABGB: General Civil Code). The Liechtenstein ABGB was basically adopted from Austrian law, so that the respective provisions are comparable to those of Austria. Under the Gesetz über das Internationale Privatrecht (IPRG: Act on Private International Law), which also applies to border-crossing matters, it is the personal statute of the deceased at the time of his death that determines applicable law. Therefore, the inheritance law to be applied basically depends on the nationality of the deceased. However, § 56 Jurisdiktionsnorm (JN Jurisdiction Act) states that exclusive jurisdiction for probate proceedings concerning Liechtenstein real estate always rests with the Fürstliches Landgericht (Princely Court of Justice). So if there is no express selection of law by the deceased in a will or an inheritance contract, Liechtenstein real estate is always subject to Liechtenstein law pursuant to Art. 29 (2) IPRG. Our staff will be gladly available to you at any time if you have any questions or require assistance. 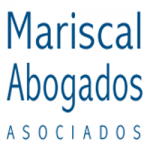 Mariscal & Abogados is an international law firm with a multidisciplinary approach based in the capital centre of Spain, Madrid.